As we’ve learned in this course, systems thinking can be applied to a wide variety of concepts. 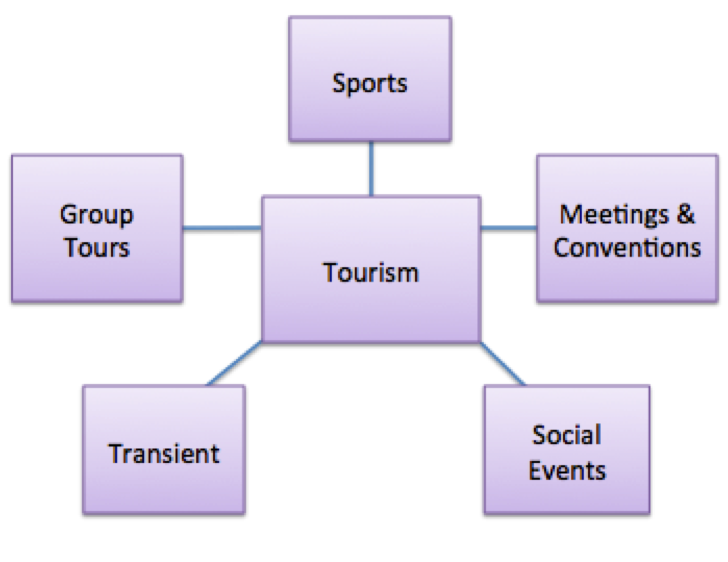 Since my current position is within the tourism industry, it seems fitting that I apply my understanding of systems to destination marketing. This system follows the hub and spoke model, with tourism and economic impact serving as the hub, and each segmented market as a spoke. Each segment, or spoke, works to contribute to driving tourism to the area and utilizing different tactics to do so. If we were to break it down even further, each spoke would have it’s own set of spokes, representing to various marketing channels we use to create awareness and drive results. Identifying these segmented groups allows us as an organization to create a system for marketing that utilizes sub-brands that fall under our Valley Forge Tourism & Convention Board umbrella. Each sub-brand can be viewed as “components” that work interdependently to contribute to the system as a whole. If any of these components were to be removed, they would not function properly on their own and there would be an effect on the whole marketing system. For example, removing the sports sub-brand and accompanying marketing efforts would lead to decreased lead generation in sports sales and eventual loss of potential room nights. The strength of our marketing system lies in the sub-brands/components working together to contribute to the overall purpose of generating positive economic impact to our destination. So happy to hear that! I read through your post and it’s so interesting to see the role that IT plays in healthcare marketing within your company. Thank you for sharing!